It wasn’t a great day for T riders. The commuter rail saw problems as people headed home on the Stoughton Line Monday afternoon. Outbound Train 913 on the Stoughton Line was stopped near Hyde Park due to a mechanical issue, at about 3:45 p.m., said Tory Mazzola, a spokesman for Keolis, which operates commuter rail for the MBTA. The train was still stopped at about 5:20 p.m.
Outbound Train 915 from South Station was expected to assist Train 913 and was expected to fall 35 to 45 minutes behind its schedule, the T said on its Twitter feed. Inbound Train 914 from Stoughton was also canceled due to a mechanical issue. Train 916 was also expected to be behind schedule, according to the feed. Franklin Line Train 744 was also 5 to 10 minutes behind schedule. On the bus routes, too, a number of delays were reported for the afternoon commute. 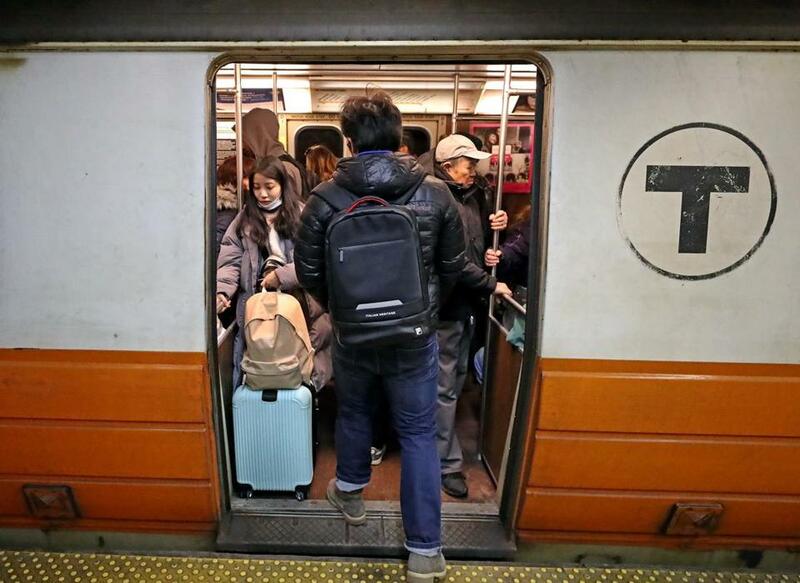 In the morning, there were delays when a train operator on the MBTA’s Orange Line was removed from his train car Monday morning after he made some unusual statements, said Joe Pesaturo, an MBTA spokesman. Richard Sullivan, superintendent of Transit Police, said in an e-mail that the operator had suffered a medical emergency. Some passengers took to social media to express their frustration and confusion over the operator’s comments. One woman, whose name on Facebook is Rhea Nannan, said the operator complained about T management and claimed to have been a victim of discrimination. “He wants to take a political stand on a Monday morning?” she said. Danni Parker, another passenger, said the operator told people he did not want to keep driving because of safety concerns. “Commuter problems: having the orange line conductor admit that he was afraid to drive the train because it was deemed ‘unsafe’ at downtown crossing at 8:05 with my stop only two stops away,” Parker said in a Facebook post. MBTA subway supervisors are investigating, Pesaturo said. Andres Picon can be reached at andres.picon@globe.com. Follow him on Twitter at @andpicon. Katie Camero can be reached at katie.camero@globe.com.